WASHINGTON (Army News Service, May 27, 2010) -- With help from the Army, the U.S. 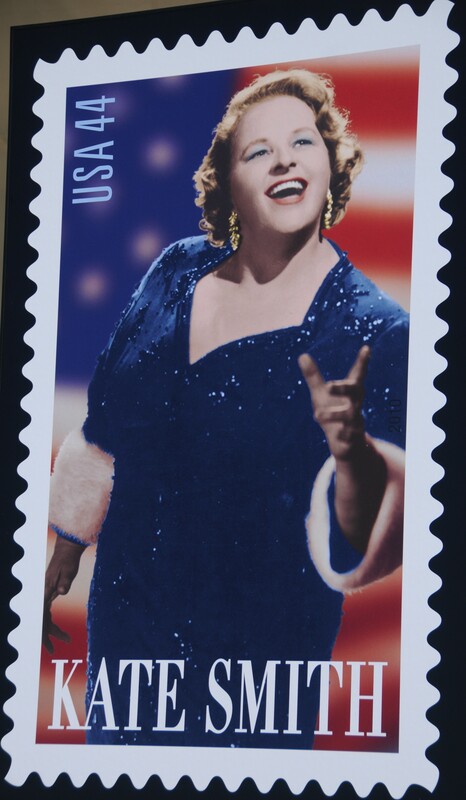 Postal Service unveiled its newest 44-cent stamp honoring the late singer Kate Smith, during a ceremony May 27 on the steps of the Lincoln Memorial. Smith, who made famous Irving Berlin's composition "God Bless America," was a radio star and later a TV personality. She was popular during World War II. 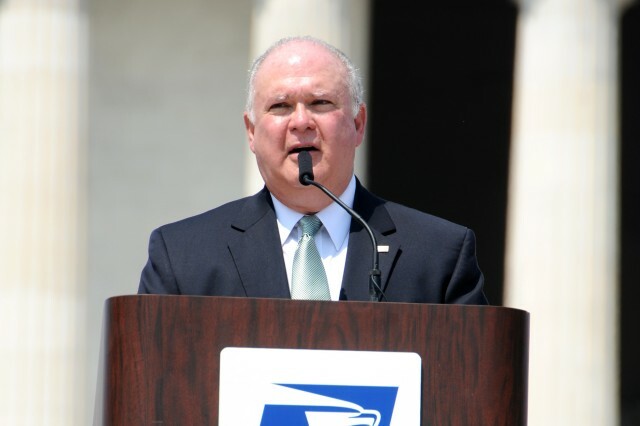 "Kate Smith meant so much to our military members and the country that supported them during some of the nation's most turbulent times," said Joseph W. Westphal, under secretary of the Army, who spoke during the unveiling. 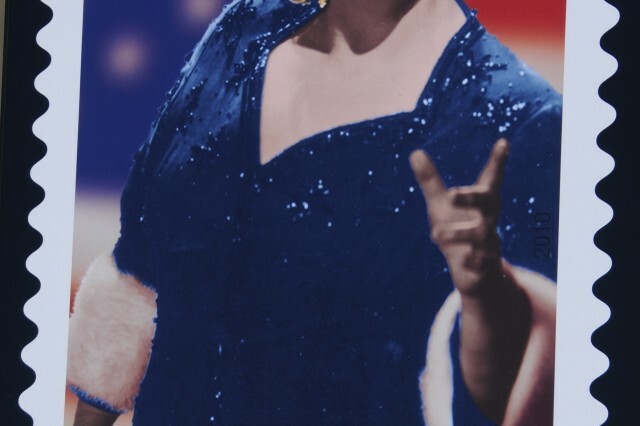 "Kate Smith did that for our country through her music. The single song 'God Bless America,' became an unofficial national anthem." 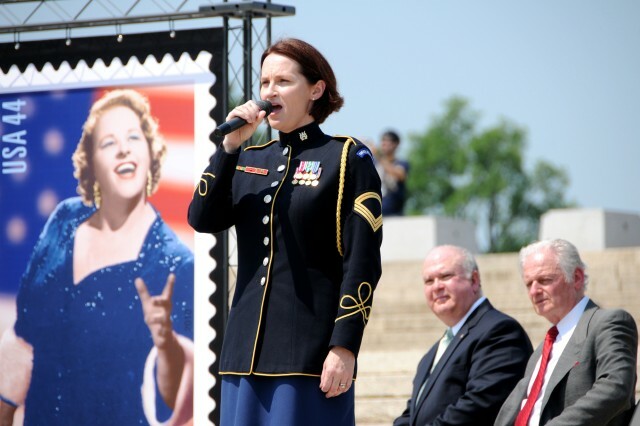 Westphal said the patriotic song is just as meaningful today as it was during World War II. In 1973, Smith sang the song at the opening of the Philadelphia Flyers' hockey season, and was from then on considered a good-luck charm for the team: they won games when she sang. Smith recorded almost 3,000 songs during her career and made more than 15,000 radio broadcasts. In 1982, President Ronald Reagan presented Smith with the nation's most prominent civilian award, the Medal of Freedom. "One of the most inspiring things that our GIs in World War II, in Europe and the Pacific, and later in Korea and Vietnam ever heard, was the voice of Kate Smith," said Westphal, quoting Reagan. 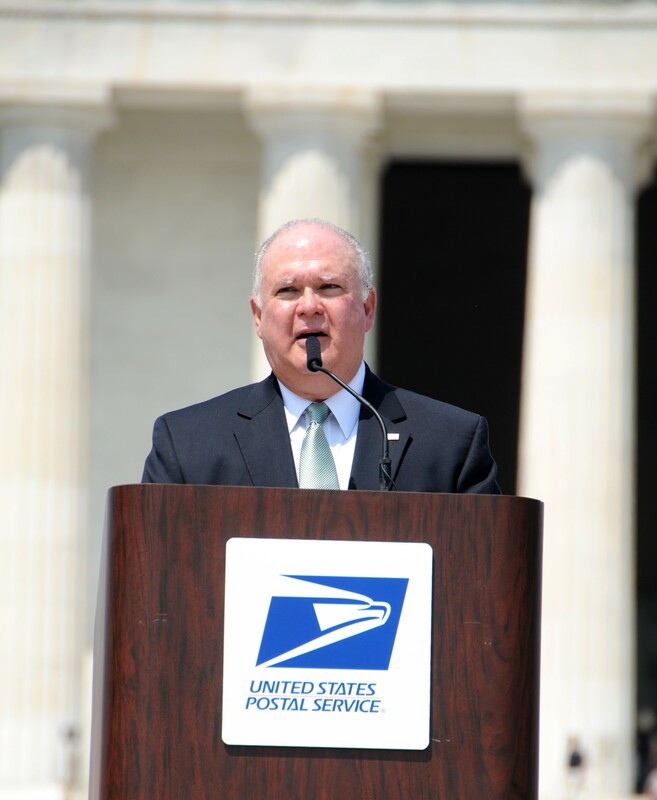 Westphal explained that people pick stamps for the message they convey, and Smith's stamp will connect a face with the voice that so many Americans know. President Franklin D. Roosevelt referred to Smith as a "national treasure," and introduced her to King George VI and Queen Elizabeth of England in 1939, saying "Ms. Smith is America."